Anodyne Services Australia is a company of medical professionals committed to quality care, health and safety of staff. ASA provides a range of competitive medical services to challenging and sometimes dangerous work environments, with a strong focus on safety and quality of care. 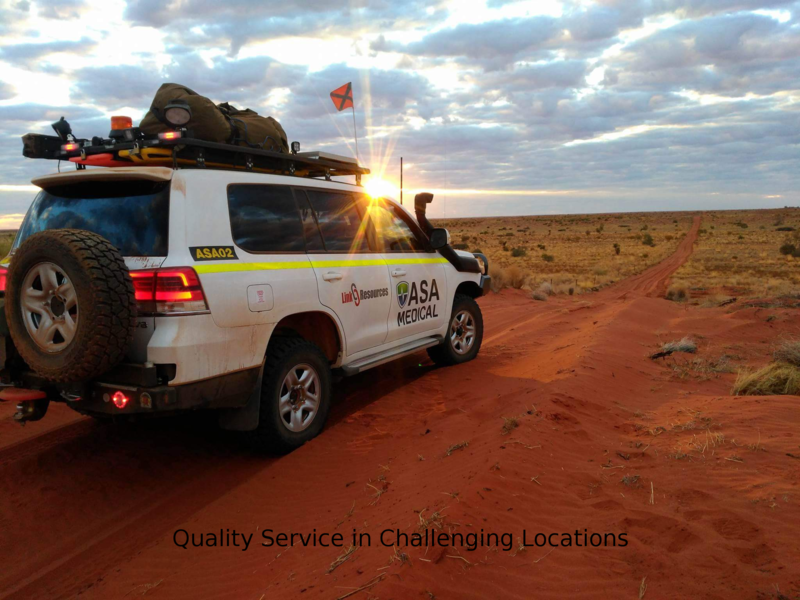 ASA’s services include; light mobile medical teams, health consultations, training, single health professionals, multi-disciplinary teams, health clinics and full field hospital facilities. ASA has previously provided solutions for nine primary health clinics and aeromedical evacuation nodes throughout Afghanistan for the United Nations Development Program; rotary wing aeromedical evacuation team supporting mining projects in Southern Sudan; and a Medical Crash Crew Service for the Kandahar International Airfield. ASA is also currently developing a growing range of courses in the first aid, administrative and occupational training fields. Our Training Site will continue to grow as ASA develops further courses based on client needs.